Melbourne Translations is dedicated to providing professional, reliable and accurate translations from world-class NAATI accredited translators. Our translation services are available in over 150 languages and are NAATI accredited. Melbourne translation services are available to you at the comfort of your desk or home – simply enquire online today. It’s really simple to request a quote for the translation of your documents. Click on the button below and complete the form and we will reply within 10 minutes with a quote. Please attach the documents that you need translated so that we can quote you. We provide Melbourne translation services for all documents but our most common documents that we translate are birth certificates, driver’s licences, marriage certificate, diploma and degree certificates and academic transcripts. All of our translators in Melbourne are accredited by NAATI. You can be sure that you can use our translations for official uses such as a visa application, PR application, passport application or submission to Universities in Australia. Always use a reliable, NAATI accredited Melbourne translator to ensure that your translations are accurate and recognised in Australia. Our team our NAATI certified translators in Melbourne are experts at birth certificate translations – NAATI Certified of course. Our birth certificate translation service can be used for all official purposes in Australia including for your visa application to the DIBP and for an Australian Passport application. Melbourne Translation is here to help with all of your birth certificate translation needs – all languages. We have been providing NAATI accredited translations of licences from all languages into English for many years. 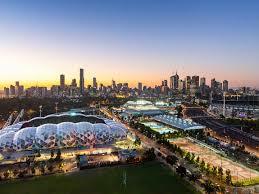 We are aware of all the requirements that exist across the various states in Australia, not just Melbourne. If you need to hire a car whilst on a holiday in Australia, or you’d like to convert your overseas licence into an Australian licence, we can help. You can use our NAATI certified English translation of your licence for all your needs! If you need a NAATI certified translation of your marriage certificate, Melbourne Translations is here to help. We can also provide an affidavit if you need to use the translation of the marriage certificate in the Federal Court for a divorce application. After many years of delivering these types of translations, we have developed an expertise in marriage certificate translations. Need a NAATI accredited translator in Melbourne? No worries! Our Melbourne translation service is available for all languages, such as Chinese, Japanese, Spanish, Italian, French, Greek, Macedonian, Hindi, Punjabi, Malay, Sinhalese, Indonesian, Korean, German, Bosnian, Serbian, Croatian and Thai. 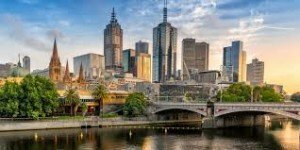 Melbourne Translation is an expert in providing NAATI certified translations of immigration documents for visa applications. We also have worked on several litigations where we provide a fast turnaround on translations. If you need a contract translated by a NAATI certified translator – we can also help! If you need to submit translated documents to the Department of Immigration and Border Protection (DIBP), Melbourne Translations can assist you. With a team of translators for all languages, we can provide fast, accurate and of course, NAATI certified translations of all documents that you need to submit for your visa application.